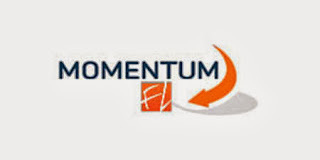 Church Leaders- Join Me For The Momentum Round Table With Hillsong Church's Mark Hopkins! I wanted to take a moment to invite you to a special round table that I am hosting on November 18, 2013 with Pastor Mark Hopkins. Mark comes to us with over 20 years of wisdom from serving on the Hillsong Church staff as the Executive Director of the renowned Hillsong International Leadership College. Mark will be teaching on: How to Build a Culture of Growth in your Church: The Key to Sustained Ministry Momentum. This intimate setting is open to the first 50 registrants and I anticipate this filling up quickly. I believe that this will be well worth your time and will help you take your ministry to a whole NUTHA level! For those who are interested, Mark will be speaking at our FaithWorks evening college, an initiative of Hillsong International Leadership College, later that evening at 7p.m. You are more than welcome to attend that evening, as well. Don't hesitate to email stacey@freedomlife.tv for any other questions that you may have about this day. Mark Hopkins is the Executive Vice President of Hillsong International Leadership College which incorporates two Sydney campuses, both evening and day classes and extension colleges around the world. 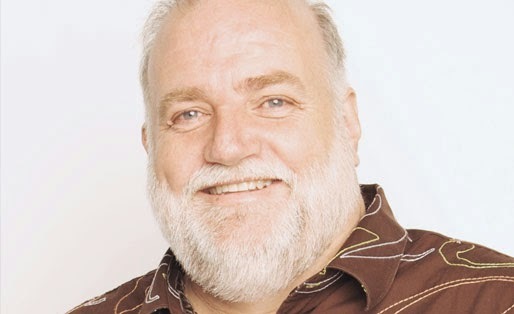 Mark's vitality & zeal for life is reflected in his preaching, teaching & leadership style. Mark has over 25 years experience in leadership and ministry, serving as a Pastor at Hillsong Church for 20 of those years. Mark’s desire in life is to see young men and women of God realise their God-given potential and to see them make a difference in this world for Jesus Christ. Mark resides in Sydney with wife Sandy, and their 2 sons, Justin & Kalib. Confidence is trust, certainty & boldness in a person or thing. 1. When You Know God Better, Your Confidence Will Be Bigger. 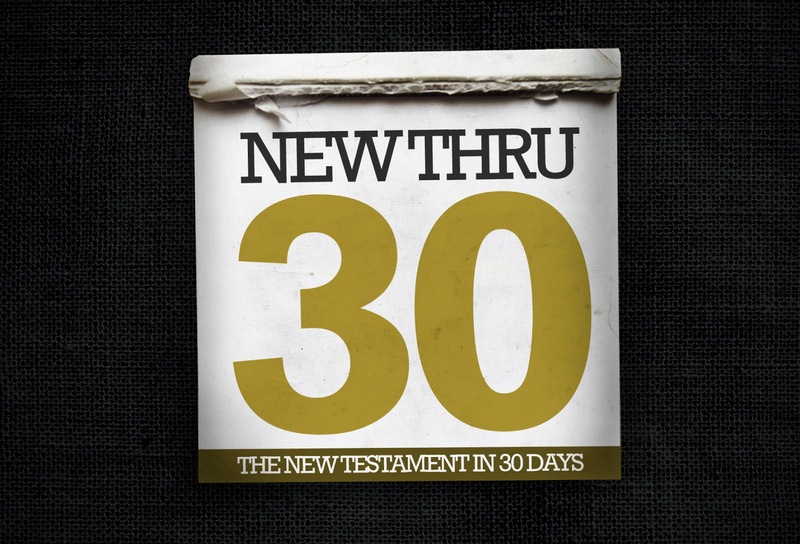 Start Your Summer Off Right With New Thru 30! So, we are going to do something. It's something we SHOULD do. It's something we WANT to do. It's something we NEED to do. And the best part is… we’re doing it together. Every year thousands of people promise themselves they’re going to do it this year. They’re going to read through the Bible. Or they’re going to read a little bit everyday. Or they’re just going to start fresh and do better this year. Most people don’t make it. Not even through the first month. Maybe you are one of them! Pause. Take a deep breath and think about the fact that 2013 is almost half over. It's time to get moving. It's time to begin. We’re going to start with something we can all handle. This June we’re reading thru the New Testament. And we’re doing it in 30 days. 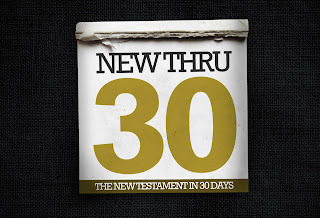 It’s called New Thru 30, a reading plan, a sermon series and an investment into our lives this summer. Stay connected with your small group and go through our weekly Growth Track! Are you ready to be new? For 30 days in June we are going to grow in God's Word and in our relationship with Christ like never before! Get ready this summer, we are going to a Whole Nutha Level! God has been gracious to our church as we have thrived by witnessing hundreds of people make decisions to follow Jesus, dozens more be baptized and powerful ministry occur in environments geared toward children, youth, young adults, married couples and others! 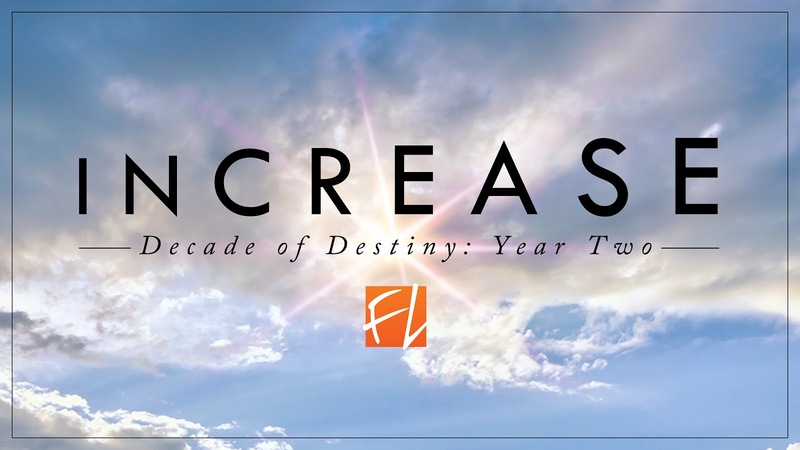 2012 marked the beginning of a 10 year vision for our church called, "Decade Of Destiny." 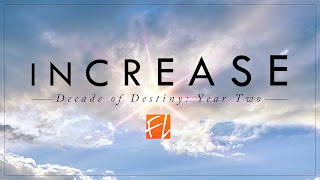 Year 2 begins this year and we are prophesying a year of INCREASE over our church family. John the Baptist said this in John 3:30, "He must increase, but I must decrease.” (NASB) Our desire is to decrease in the areas of our lives that are not a part of God's plan and to increase in those that are. The Bible says, “... Jesus increased in wisdom and in stature and in favor with God and man.” Luke 2:52 (ESV) That is our prayer for this year and these are our goals. To read more about our Decade of Destiny goals, click here. During the summer of 2013 we will be training our core leadership and small group host/leaders in our new discipleship process to help people move forward in their faith through one on one relationships. 2. Numerical- Break through 1,000 in consistent weekend attendance as people get planted in God's House so they can flourish in life. 3. Salvation- Our goal is to see 1,000 people take their next steps in following Jesus this year in our community and all over the world! 4. Church Planting/Missions- We will partner with other organizations to plant 10 churches in the Dominican Republic, Cuba and here at home. We also support missions work in Haiti, Honduras, India, and other parts of the world. When you give towards our goal of $50,000 for missions, you are helping us accomplish this goal. 5. We will continue to develop our community care / outreach strategy. We currently give financially to various organizations, such as the Parkesburg Point, and offer a food bank that feeds up to 50 families each month. We will begin new initiatives to better serve our community and share the gospel message to each person within our reach. 5. Financial- $1,250,000 (including Decade Of Destiny) Through the sacrifice and dedication of God's people we will supply the vision that God has given us for this year. 6. Expansion Fund Goals: $250,000---$150,000 towards the purchase of our new property that will be the site of our new strategic location for the future of Freedom Life! $100,000 will go towards establishing our new location in Coatesville and preparing for our next site in 2014. This will enable us to reach into surrounding communities with our message of hope in Jesus. Commitment Sunday will be on January 27, 2013! 7. We will increase our leaderships team capacity to multiply and grow with the vision. To do this we will continue to offer FaithWorks Hillsong Extension College (www.FaithWorksCollege.tv) on Monday evenings for enrolled students. Growth Track classes will be available to every person in the church to help them move from an attender to contributor. Growth Track will meet weekly at both locations. We will also have quarterly leadership summits for all of our volunteers and quarterly gatherings for all of our team leaders that will empower their leadership along with one on one mentoring. 9. We will invest into marketing and promotion to enable us to grow to the next level. 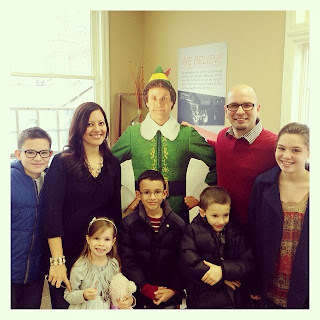 For years we have heard people say, "I didn't know this place existed or I would have been here sooner!" We want to make it hard for people to go to hell in our community so we will be exploring new ways to reach more people through television, media, mailers, social media and so on. -1st Wednesday Celebrations that combine all campuses to celebrate communion and be inspired by guest speakers.